as Calrissian, Kevin Pollack as Yoda and Rainn Wilson as Chewbacca. Original “Star Wars” cast member Mark Hamill also made a surprise appearance as The Emperor. The event just one of many successful live reads that have garnered headlines over the past three years. And now it’s safe to say they’re here to stay. Given the scale and popularity of last night’s reading, it’s hard to believe that the Film Independent Live Reads were only launched in 2011. 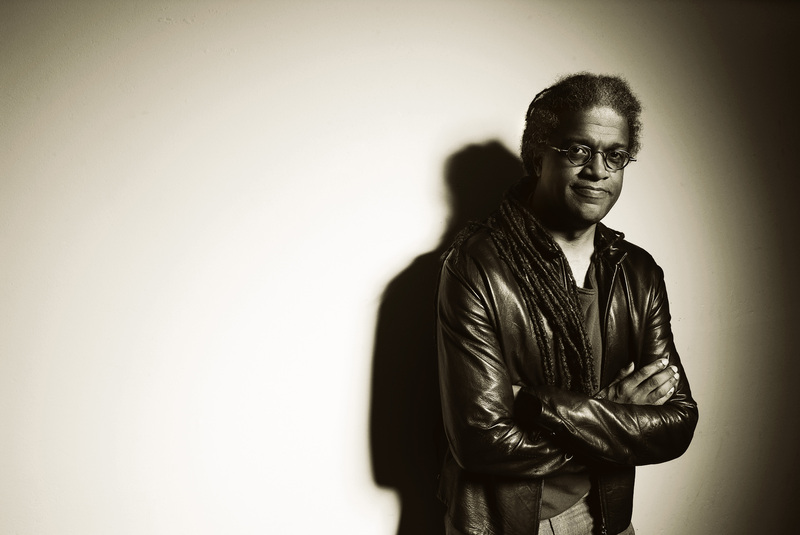 Earlier this week, Elvis Mitchell, the Film Curator at Film Independent, spoke with Indiewire over the phone and recounted how Reitman presented him with the idea while they were having dinner one night, not long after Mitchell had begun his tenure at Film Independent, curating the organization’s event series with LACMA. idea, let’s do it,'” Mitchell said. The first time Film Independent and Reitman hosted a live read, Mitchell said that the response from both parties, actors and audience alike, was overwhelmingly positive. “People were in love with it [and] the actors loved doing it too [because it gives them] a chance to bring their own perspective to a well-known piece of material and well-known characters,” he said. Unlike a live musical performance or a play, the actors never rehearse together before getting onstage. As Mitchell pointed out, this gives audiences a unique opportunity to experience a performance from beginning to end, without the effects of editing. Having become accustomed to onscreen performances that have been enhanced or altered by visual effects, the live read provides both actors and their audiences with a unique challenge. Another such occasion took place earlier this year when Film Independent Live Reads announced that it was partnering up with Quentin Tarantino to bring a live reading of Tarantino’s “Hateful Eight” script, which was leaked online earlier this year. 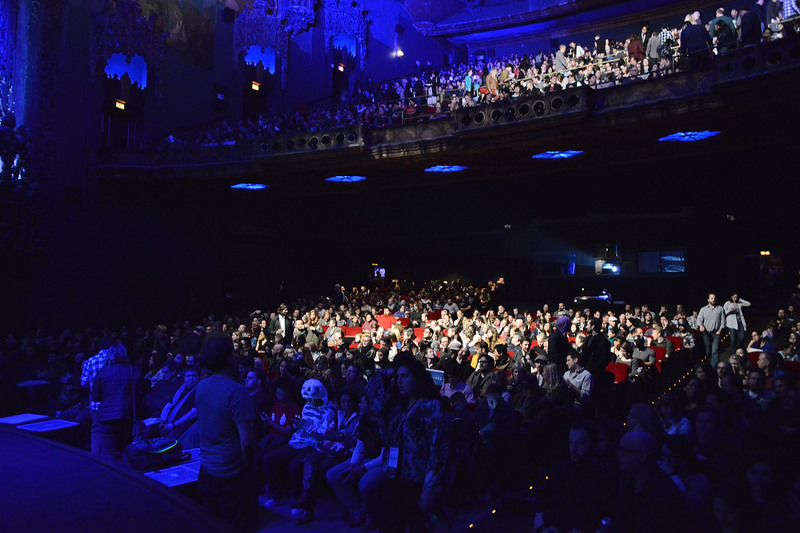 Similar to last night’s reading of “Empire Strikes Back,” the “Hateful Eight” reading was held in front of a packed house at the United Artists Theater next to The Ace Hotel. The performance featured an all-star cast: Samuel L. Jackson, Tim Roth, Bruce Dern, Kurt Russell, Walton Goggins, Michael Madsen, Denis Menochet, James Remar and Amber Tamblyn. As Anne Thompson noted in her follow-up coverage on the event, the event was bookended by rousing crowd reactions. “I think for [Tarantino] this was a way for him to reclaim ‘Hateful Eight’ after the script had got out online, and to show what we would do to it,” said Mitchell. “And also it became an instance that highlights how unique this program is because he did a version of ‘Hateful Eight’ that will never be seen again.” Tarantino has since written a new draft for production, scrapping much from the version that was performed. “It will never been seen or read anywhere again,” said Mitchell. The success of the Film Independent Live Reads has inspired other film organizations to experiment with the form. Franklin Leonard’s company The Blacklist successfully tried out the live read format with unproduced scripts more than once this year and late last month, the Film Society of Lincoln Center hosted a live read of Spike Lee’s “Do the Right Thing” in the wake of the Ferguson grand jury verdict. It’s a style of performance that has penetrated the cultural consciousness at large, in a remarkably intimate way. The Austin Film Festival live reading that Leonard mentions took place back in 2009 when The Black List was still just a side gig for him. He was working at Universal Pictures at the time; all of the logistics, including casting, were handled by festival. The positive response to a live read of an unproduced script left an impression on Leonard. 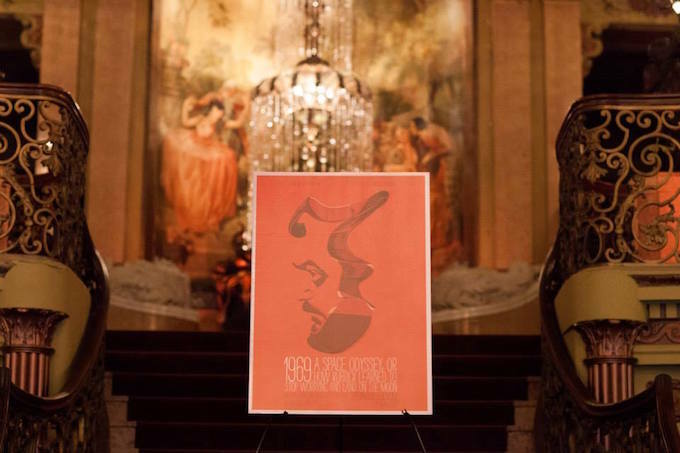 After spending the last two years developing The Black List into a full-fledged company and now, this year, bringing on additional staff such as Director of Events Megan Halpern, Leonard was able to organize three live reads of unproduced scripts that have appeared on previous editions of the list. While certainly a spiritual descendent of the Film Independent Live Reads, the nature of the unproduced script is such that The Black List Live! requires some additional prep work on the part of the screenwriter. Most of the preparatory work is about building atmosphere with props, images of scenery and in Folsom’s case, even archival footage. The writer — who also functions as the director for The Black List Live! performance — only gathers for a read-through with the cast he day before or on the day of the scheduled performance.